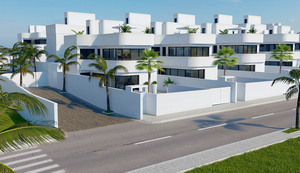 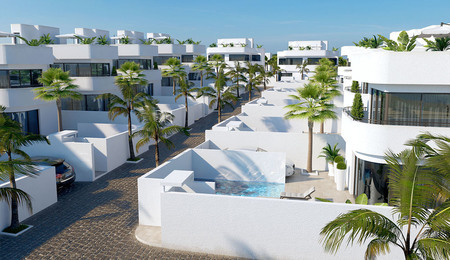 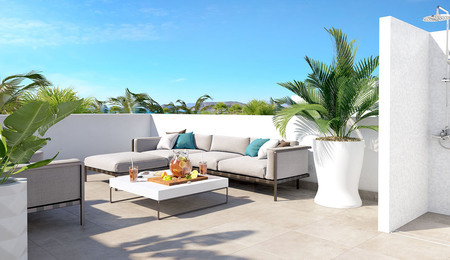 These villas are situated in La Marina, Alicante in a gated, and residential, complex with only 20 unique design villas. The property will offer you three (or four) bedrooms with fitted wardrobes, three bathrooms, living/dining room, open plan kitchen with top of the range Quartz worktop and including all appliances, landscaped South facing private garden (palm trees with their own irrigation system) and with a stylish swimming pool (9×3) with chill out underwater bench, underwater led lights and a solar-powered pool-shower, exterior light fittings, solarium (some of the villas will have sea views), exterior storage room and off road parking. 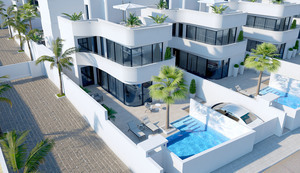 This is a 3 bedroom 2 bathroom modern designer villa located in the best selling La Marina Urbanisation on a 500m2 plot with a private pool and all modern luxuries you would expect for a superb second home. 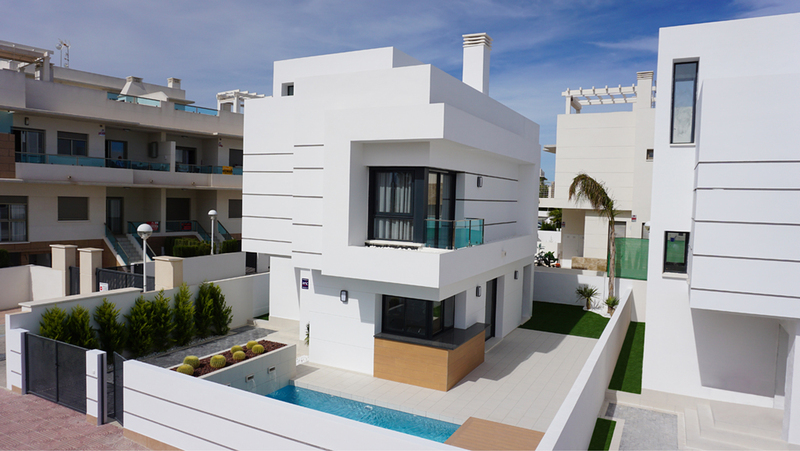 Sold with a fully fitted Italian designer kitchen, Air Conditioning, top quality bathrooms and shower rooms, porcelanosa standard flooring and landscaped garden. 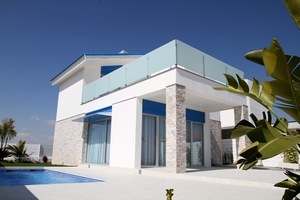 The Villa Zena villa comes with 2 bedrooms with fitted wardrobes and a master bedroom with an ensuite. In the garden you will find a 10 x 3.5m pool and a sunbathing area. 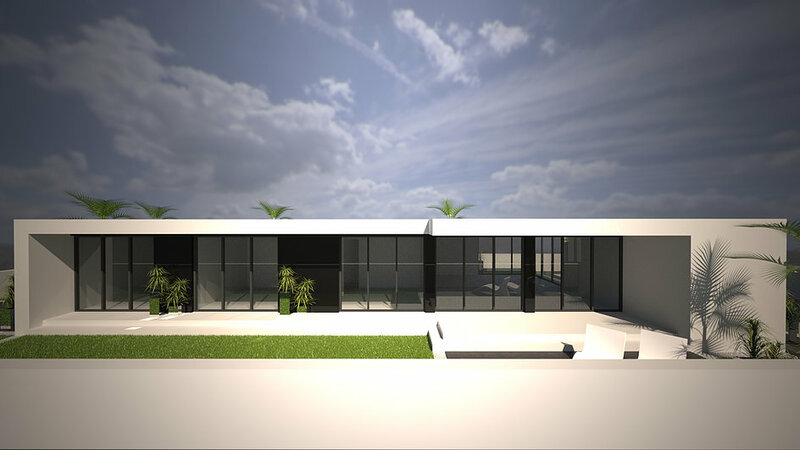 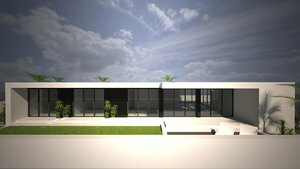 The property will be built on a plot size of 500m2. 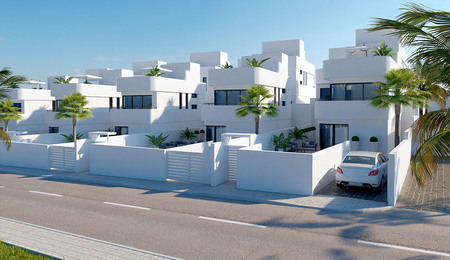 Brand new semi detached, 3 bedroom, 2 bathroom, houses with private pools in San Fulgencio in a development that will have 39 properties in total. 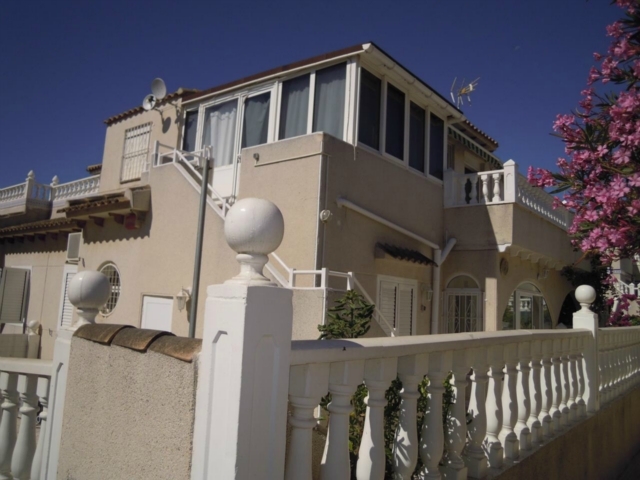 San Fulgencio, a small spanish town with charming square and church, is close the urbanisation and beaches of the more international La Marina with it´s restaurants and shops. 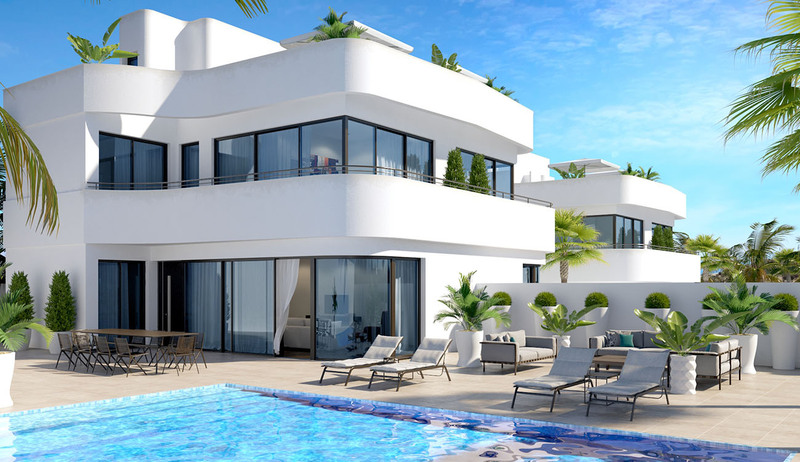 It is also only a short drive to Guardamar town and blue flag beaches to the south and Gran Alacant shopping to the north . 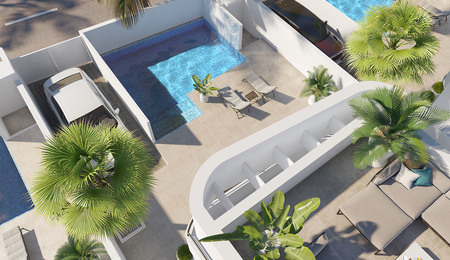 Alicante airport is a 25 minute drive away. 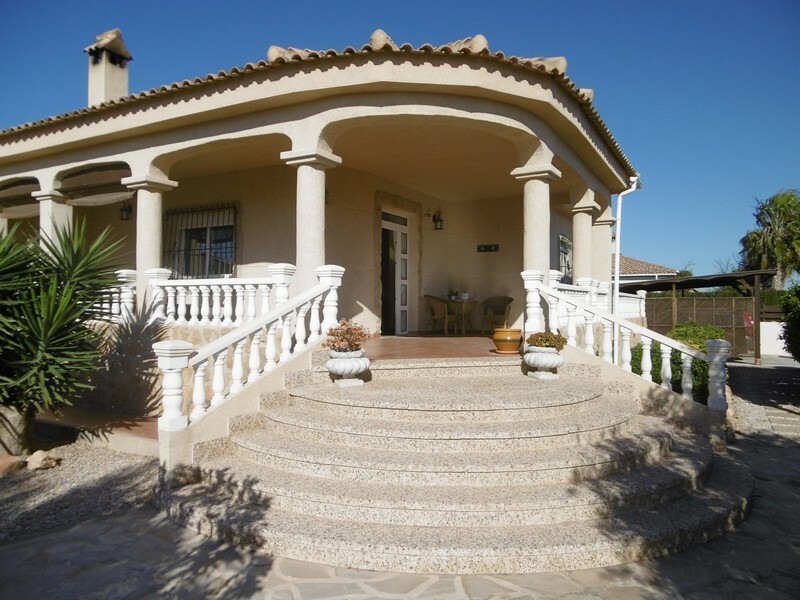 The houses, in plots of 290 m², with landscaped garden, private pool and off road parking comprise: on the ground floor; an entrance way, salon/dining room, open plan kitchen, double bedroom and family bathroom. 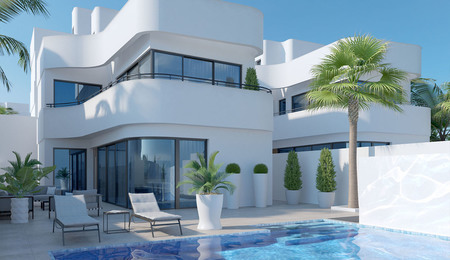 The salon, kitchen and bedroom all opening onto terraces and garden. 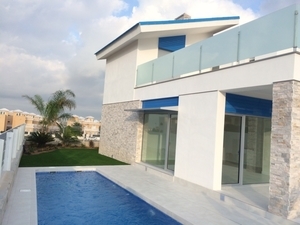 On the first floor are two more bedrooms and another bathroom plus a 30 m² solarium.